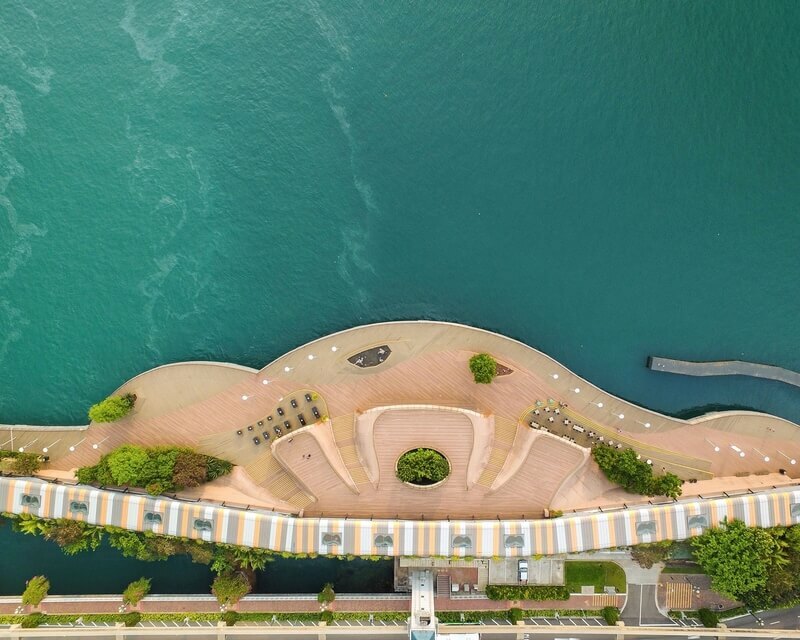 Singapore, one of the most densely populated, extensively photographed cities in the world reveals a new beauty when captured from above by drone photographer Joel Chia. 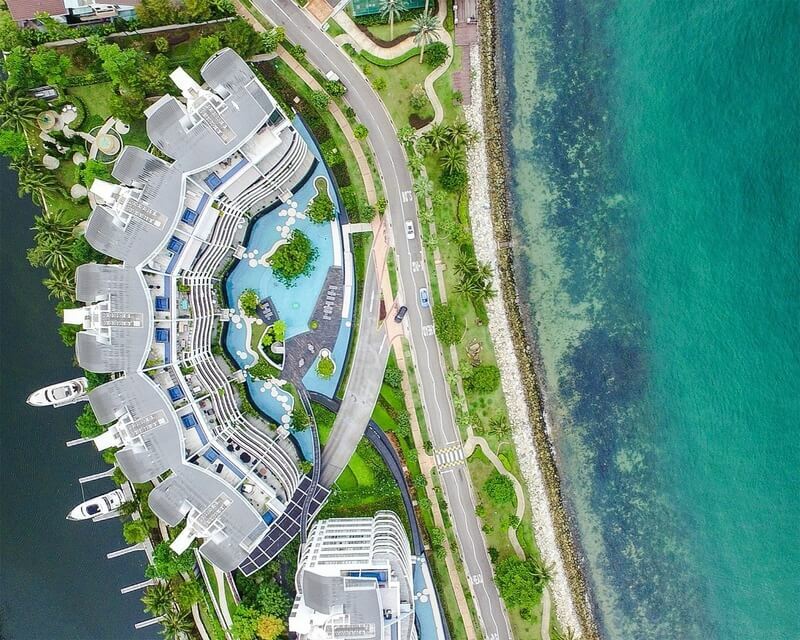 At just 24 years old, he is yet to graduate from his Bachelor’s degree but he has already had his drone photography praised for showing “Singapore from a different perspective that many of us rarely consider” by none other than the Prime Minister of Singapore Mr. Lee Hsien Loong. Like many people, his journey into aerial photography using camera drones started with YouTube. After watching increasing numbers of YouTubers use drone video on their channels he was inspired to take a leap into aerial photography himself, starting with a DJI Phantom 3 Advanced. As he grew accustomed to letting his creativity loose in the skies, he never forgot that when flying a camera, it is important to fly safe. Every time he finds a new location to shoot, whether by suggestion or through his own exploration, he does a location recce. The primary aim of this recce is to find a good place to launch that is away from other people, secure, and ideally raised from its surroundings. Once the right spot is found, he checks signal strength, interference levels and even weather before lifting off. “The crucial checks that I make before takeoff help me ensure a safe, smooth and fulfilling flight,” he said. 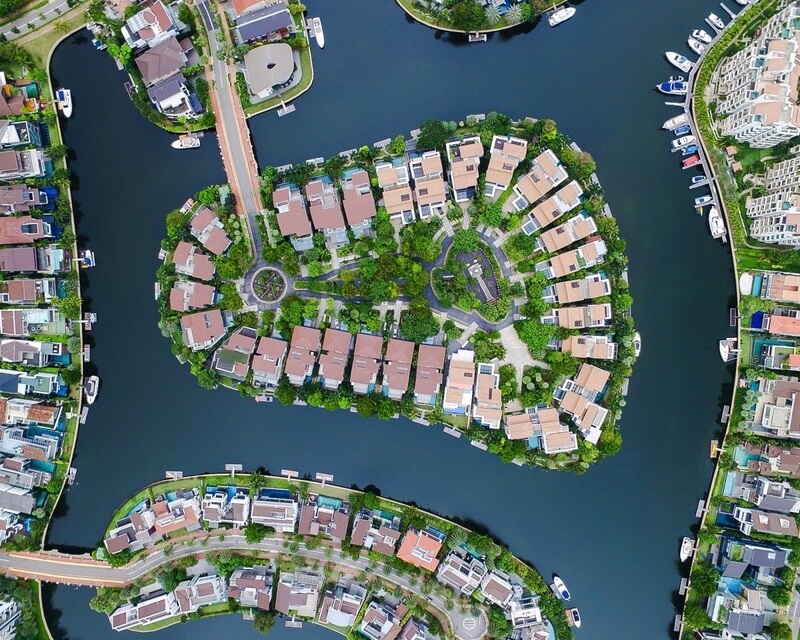 In drone photography a particular shot, often known as a god’s eye view, is becoming increasingly popular. 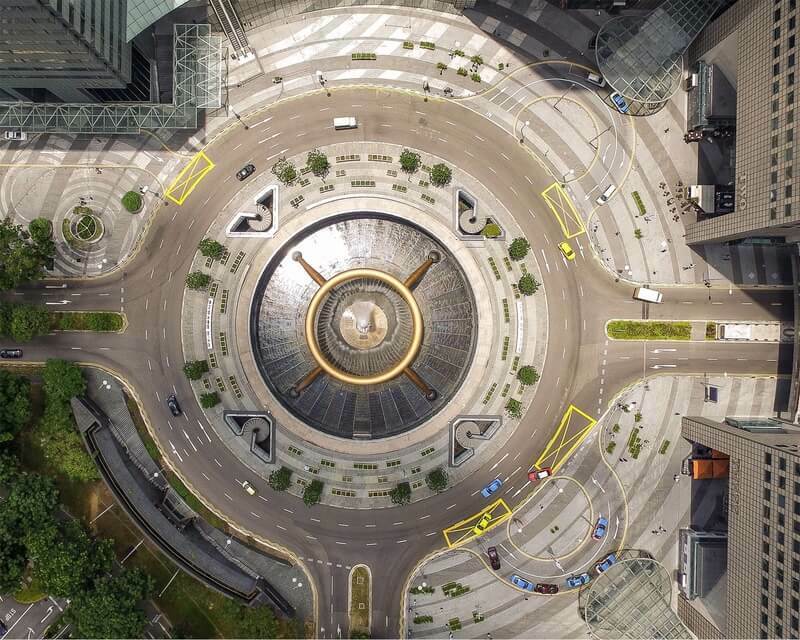 Featuring a camera pointing straight down and drawing on shadows and ground textures to create interest, it is ideal for Singapore so it is no surprise that this style of drone photograph forms the backbone of his work. What he hopes to do with his photography is showcase Singapore’s beauty from a different perspective. As a country Singapore is small, but it still has a lot to offer and he hopes that people who see his photos will be inspired to look at their own environments anew and see beauty where they never imagined it could be found before. Having already shown the world what Singapore can offer, he plans to recapture that spark in a whole new country, Scotland, United Kingdom, and to take his own creativity to the next level. “I hope to create and curate content that will appeal to the masses both back home in Singapore and in the UK and I hope to connect with other creative and talented drone pilots and explore creative collaborations as my own journey continues.